Neşe is a native of Ankara, Turkey. She received her Bachelor’s degree in Food Science and Technology from the University of Ankara, and obtained her Master’s degree in Food Science and Nutrition from the University of MN. She is currently leading a group of R&D sensory scientists at Cargill, MN. Nese has started her career with Cargill in 2007 by working on developing Truvia® Table Top (TT) sweetener. Prior to joining Cargill, she has worked for Land O’Lakes as a Food Scientist in the sensory department. She has 16 years of working experience in food industry. Her expertise includes food science, sensory science and methodology, dairy products/sweetener sensory testing. She has been an active member of Turkish American Association of Minnesota (TAAM) since 1995. She has held different positions within TAAM over the years. She currently volunteers her time serving as Turkish Folk Dance Instructor for TAAM. 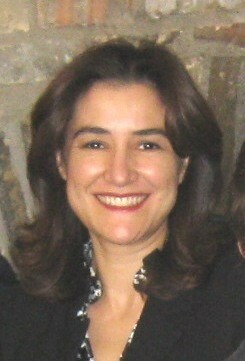 She is married to Cem Yurttaş, and has two kids Atakan and Sıla Yurttaş. She lives in Shoreview, MN.